In business, this is particularly accurate, because one day you can be hot, and the next day struck by a social media storm and bad press. Social media is extremely quickly evolving, and if you aren’t on top of the latest trends and tactics, you’ll be out quicker than you came. In fact, social media is so quickly evolving, that in order to remain relevant, you need to update your social media strategy on a regular basis. As a business, you can’t afford to risk it all on something that might be completely out of date tomorrow. Predicting the future is hard, especially in this fast-paced tech savvy world we live in. No matter how much analytics and statistics we have, we simply cannot predict the next big thing, or the big new platform that’s going to knock out every single one you are using right now. Yes, in a digital world where everything is moving faster and faster, it is scary to know what’s around the corner, because it may just completely change the way we use social media. For better or worse. Now, as a business, you want balance, and you want stability. You don’t want to go day in and day out wondering what will happen if a change in the digital world occurs. Therefore, in this article, I’ll be listing the top ways to future-proof your social media marketing strategy, to make it more relevant all year around and to withstand resistance in different forms. There isn’t an exact recipe to future proofing your strategy, but what it essentially means is doing things that are evergreen and never go out of style. This is something that never go out of style. Posting high-quality, amazing content will always be relevant. If you look back in time, let’s say 10 years, the same principles about content applied then as they do now. Sure, you had much worse cameras that took relatively blurry images and so on, but back then, those images were considered state-of-the-art. While this photo wasn’t considered to be top-notch back then, it was actually considered to be fairly average. Today, this would be classified as a low-quality image. Today, we think that the images we take, the videos we record, and the podcasts we create are high-quality, but who knows what will happen in the future? The point is that you should always aspire to become a better content creator, and invest in gear that lets you create high-quality content. At least the definition of it today. Because this will let the content you share be relevant longer. Quality content is always relevant and will continue to be so for many many years to come, and it’s one of the most surefire ways to future proof your SMMS. 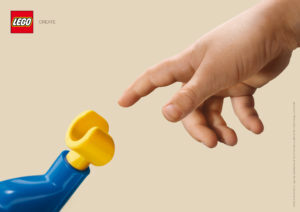 Take a look at this Lego ad, for example. It is just as relevant today as it was in 2014. That’s because it is high-quality, appealing, and unique. Social media platforms are becoming more dependant on AI (Artificial intelligence). Today, almost all of the major social platforms are using some form of AI to sort their content. Also known as an algorithm. The purpose of these algorithms is simple: present quality content to its users and sort out all the bad content. Social algorithms are already becoming smarter in determining bad content and good content by studying factors like interactions, time on content, views, and so on, and in the future, AI will be even better at distinguishing bad from good content. 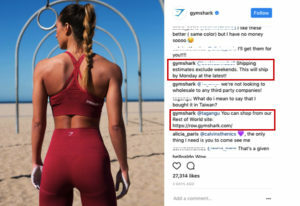 Platforms like Instagram are already starting to sort away bad content from your feed, preventing you from seeing the content, unless you actively search for it. The reason to this is because their ultimate goal is to give you a good user experience, in order to ultimately attract more users. Therefore, the quality of the content that is spread across social platforms are, and will, be more important than ever. Of course, predicting the evolution of social media AI and how your content will be distributed by it is a close to impossible task, however, we’re already seeing it starting to happen now, and we can only assume it will continue to do so. Punchline being: Share quality content that adds value to the industry in are in, and is relevant to the niche you are targeting. Human interaction will never fall out of style. In fact, humans have interacted with each other since the first humans existed. Or, what you consider a “proper” language to talk started around 60-100k years ago. The only difference is that the way we communicate has completely been revolutionised. But if people could communicate the way we do today, back then, they would. Social media ads can generate great exposure for your brand, but there’s nothing that builds as powerful relationships as when you interact with your audience one-on-one. It’s difficult to build trust and a relationship with your audience by simply showing them an ad. The ad only increases brand recognition and awareness, but it is what you do after that, with the lead you got, that really matters. You probably already know this, but trust is the single most important thing to driving sales. If your audience don’t trust you, they’ll never buy from you. The good thing here is that with social media, it has never been easier to engage and interact with them to build the trust that is so vital for you as a brand. Followers mean nothing unless they’re active and engaged! Back in the days, the term engagement was barely discussed in terms of social media. Because first of all, the engagement was already sky-high for everyone trying their luck on social because the competition was low. This means that the people who started to follow you would engage with your content. Today, the reality looks a lot different. You can’t just focus on acquiring followers and then expect to have a high engagement and interested followers. 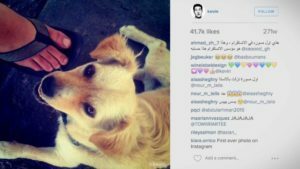 On Instagram, 95 million photos and videos are shared on Instagram per day. Undeniably, the competition for your followers’ attention is huge! That’s also one of the reason why the average Instagram user misses 70% of its feed. I’ve said it many times before, but you’ll be far better off by having 1000 highly engaged followers than having 10,000 followers who aren’t interested in your brand, and therefore don’t interact with your content. When you have built a strong relationship with your audience, they trust you, and they look up to you, you’ve also done one highly valuable thing. 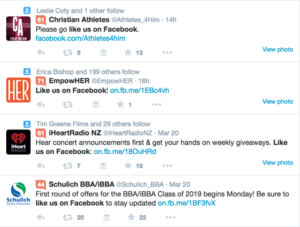 You’ve made them engaged and interested in your brand enough, so that when a new social platform appears, they’re ready to follow you to it because they want to stay in touch with your brand and see your content. That way, you already have a head start from your competitors. 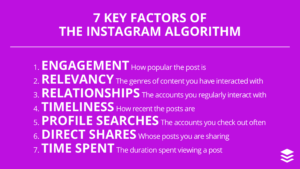 As AI is playing a more important role in how social platforms work an sort content, it also means that overnight, you can go from having a fairly engaged audience, to barely having anyone seeing your posts. Unfortunately, AI can work that way, but don’t fear! When you have an engaged audience, you don’t need to worry too much about the changes. Those who stop seeing your posts weren’t relevant to your brand either way. When you’re planning ahead, and thinking about how to future proof your social media strategy, you’re already one step in the right direction. However, something that is worth pointing out is that when you’re planning for the future, and setting up plans on how you’ll remain relevant and build your brand one, two, or five years from now, you need to think long-term. Sure, making a few short-terms decisions might help you in the moment, and it might help you achieve some valuable things, but what will build your brand thoroughly and make sure it stands on a foundation that will withstand tornados, earthquakes, and attacks from the outside, is thinking (and making choices) long-term. Making short-term decisions can be extremely appealing, because it also means instant gratification and instant results. Moreover, it can also be appealing because everyone around you is doing it, and getting great results from it. Thinking lon-term also means being patient. While your competitors are going with the short-term and seeing instant results, you need to have the patience to wait for the results that comes with choosing long-term. And when you do, you’ll be far better of in the long-run. Entrepreneur Gary Vaynerchuk is a firm believer in long-term building. Even so much that he admits slowing things down because he loves the process of reaching success so much. “Nothing valuable comes fast” says Gary, and this goes for everything. Including social media success. Something you also want to do is backup your old posts and data. This is particularly helpful when you want to reuse some of the content you have shared earlier. If you’re hopping on a new platform, old content can be really beneficial because the content you share there is completely new for that platform, even though you have used it before on another platform. Creating content is tough, and therefore, finding ways to reuse your old content is really helpful for saving time. That way, you can put more effort into engaging with your audience and building valuable relationships. Saving data is not only helpful if a new social platform comes around, though. It is also very helpful when you want to go back and look at the results you generated earlier, and compare what your content strategy looked like. Having your data stored can also save you from a lot of trouble, if your account would be hacked or deleted, removing every post of yours with it. The digital world evolves so quickly that it is impossible to create a social media marketing strategy that is 100% relevance a few months after it was created. The most important thing to remaining relevant in the evolving world is to always stay up to date with the latest trends, changes, and releases. The digital world is changing every day and every month, so make it a habit to study the latest happenings. Get the latest news directly from Instagram themselves about new updates and future releases. Get the latest news about change and updates on the platform. Get the latest true and tested social media tricks and tips that lets you keep your social media marketing strategy stay up to date. “The latest technology news and information”. When you are aware of them right when they occur, you can implement them quickly, and make sure you are never the last one on. Because on social media, jumping on a trend or something new too late might mean missing out on the fruit. If you aren’t up-to-date with the latest news, you might get the information way too late, when the big boom has already happened, leaving you behind. Your competitors, are probably like you trying to stay relevant, and this can only be done by being up-to-date. By looking at your comeptitors, you can learn a lot about what works and what doesn’t. If you’ve gotten information about a new trend but are not sure whether to implement it or not, why not look at your competitors trying it, and the if it’s successful implement it yourself? In other words, let your competitors be the guinea pigs, and then if the experiement is successful, be ready to quickly implement it into your own strategy. If the experiment wasn’t so successful for your competitors, then you can kick your feet back and be glad that you didn’t try it. In order to stay relevant in the constantly evolving world of social media, it is important to have a strategy that meets and pleases the demands of your audience. By being one step ahead, you make sure that your brand never falls out of style, and that you don’t one day wake up as someone who is completely irrelevant and that nobody cares about.